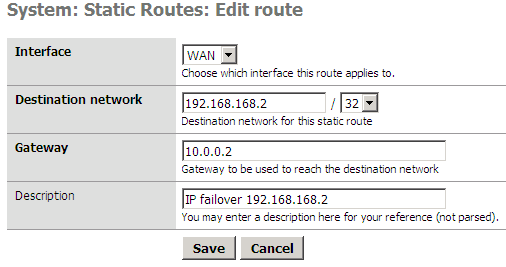 This setting is only valid for pfSense 1.2.X configuration using routing instead of NAT like explained in this post. A version for pfSense 2.0 can be foundhere. 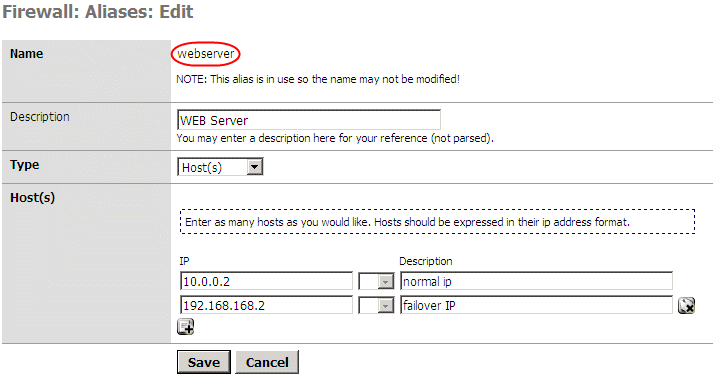 Fail-over IPs are IPs that you can assign to any host server you have with OVH. When the host fails, assign the IP to another host running the same service. This allow to guarantee continuity of the service ! First I can duplicate each entries about 10.0.0.2 in the OPT1 and WAN rule tab and replace the 10.0.0.2 by 192.168.168.2 in the new entry. Or, my favorite one, I can use host aliases ! You will ask why I don't need to add a Virtual IP proxy ARP definition ! You are right we need one ! 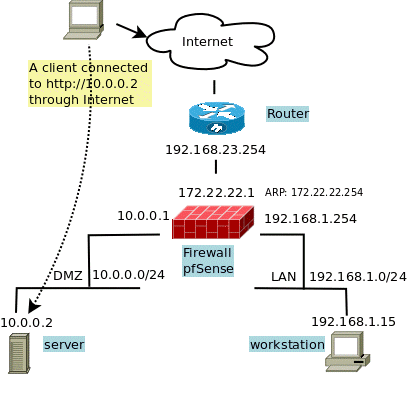 But I thing adding a route to one single host also create the proxy ARP inside the system itself. Linux is doing thing like that too. If you are scared you can add Virtual IP if you want.